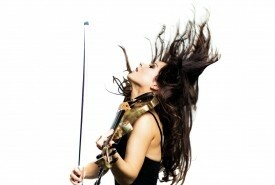 Hire Violinists in London, United Kingdom - No Agency Fees! 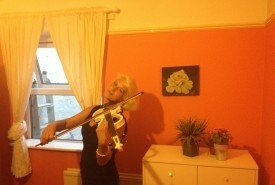 Find the best Violinist in London for your Wedding, Party, Corporate or other Event Entertainment in minutes! 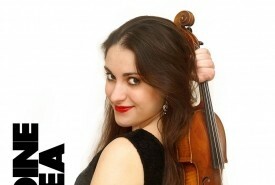 With us you can enquire & deal 'directly' with a London Violinist...that means no middle man & no 'Agency Fees' added! Want To Receive A Range of Quotes From Available Violinists? Naomi played for my proposal and was utterly amazing. Naomi delivered a very personalised service and, of course...my now wife said yes! Aelfwyn was absolutely brilliant. She performed at my wedding and did a completely bespoke entrance for me and my wife. 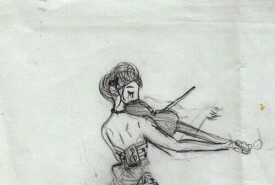 She took it upon herself to walk around the guests while she played the violin beautifully. All that anyone could talk about was Aelfwyn, she was the life of the event! 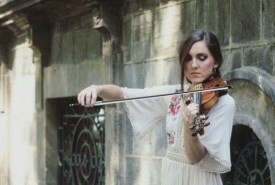 Jessie May Smart is a mesmerising performer- a sublime, lyrical, flowing violinist. My wife and I just wanted to take this opportunity to say a very big thank you for your performance at our wedding on 28th March at Shehnai (Reading) You were absolutely amazing and the feedback we received was fantastic. We didn't get a proper chance to come over and personally thank you on the day. Your performance for our 1st dance was truly special.... (can't wait to look back on the video) Once again, a very big thank you and we'll will keep in touch for any future bookings. When Martin Toal suggested adding a violinist to the repertoire for our Ryman League Annual Ball, it did not occur to me for one minute that we would all be blown away and mesmerised by the performance of Sally Potterton on the night. I would strongly recommend her to anyone looking for a vibrant, talented artiste. WANT TO RECEIVE A RANGE OF QUOTES FROM Violinists? 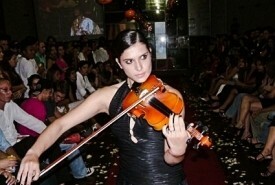 8 Instrumentalists you Need to Book for your Event!